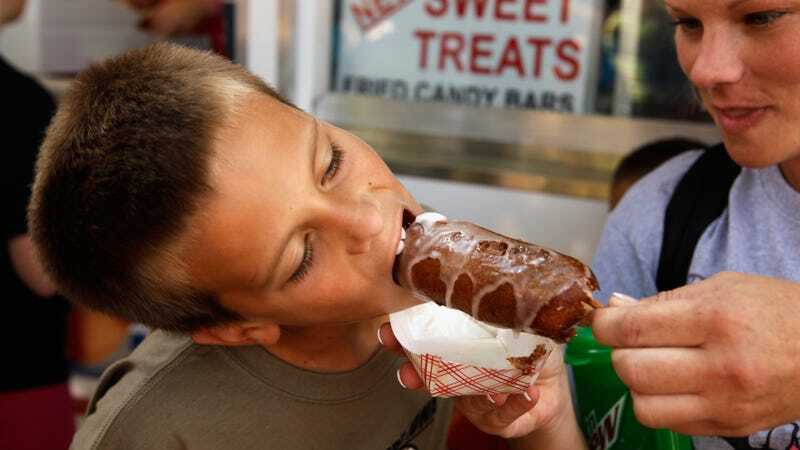 A kid chows down on deep fried butter-on-a-stick at the Iowa State Fair in 2011. Friends, there is so much more on the full list, which you can read until your eyes glaze over and drool coats your keyboard. Fairgoers are invited to vote—via the Fair’s app—for their favorite new food, which will be crowned August 15. I’m pulling for Cookie Dough Spaghetti.